Welcome to Open System Imaging! Open System Imaging is pleased to announce another new location to serve you! 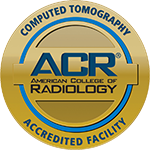 The new facility on Springfield Drive in Chico (previously Chico Health Imaging) offers 3T wide bore MRI, 64 slice low dose CT, Ultrasound and Xray. We will help you overcome any obstacle to get the information your Doctor needs to care for you. High deductibles or no insurance?- OSI can help! Claustrophobia, fear or anxiety?- OSI can help! Insurance won’t authorize your exam?- OSI can help! OSI is all about you! Open System Imaging has been providing compassion, confidence and comfort to patients who desire more than a routine healthcare experience since 1995. OSI has five locations in California. 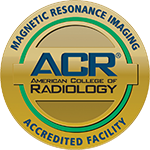 Our imaging locations welcome physician referred patients and are conveniently contracted with most major insurance plans. At OSI, cutting edge science, prestigious medical professionals and the highest level of care is every patient’s experience.